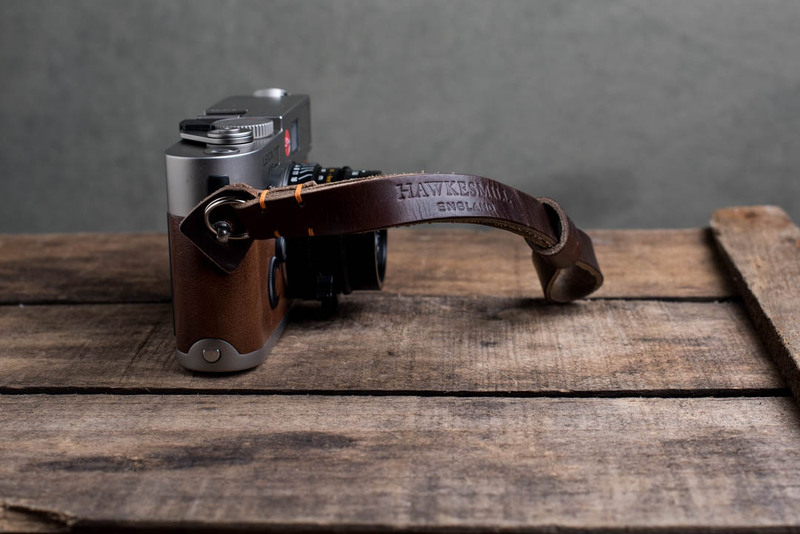 Our leather camera wrist straps are made from Horween Chromexcel leather. 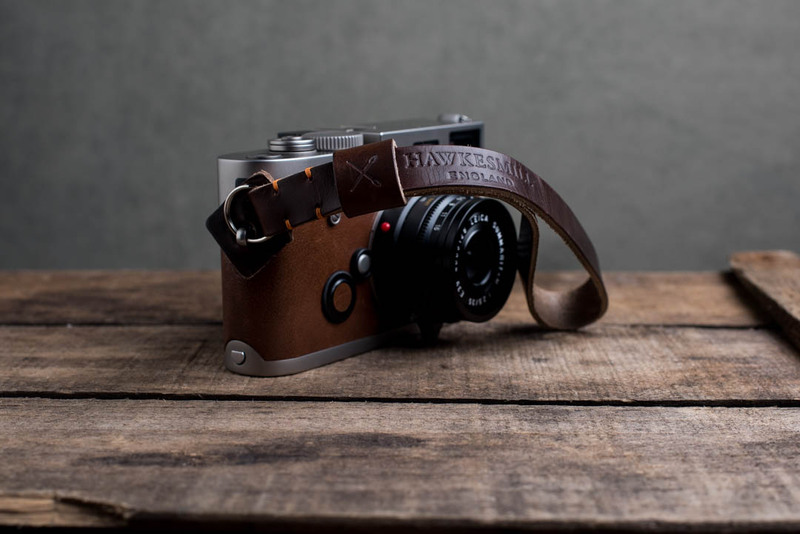 Handmade in England, of course, in a factory which has a combined experience of more than 200 years making leather goods. 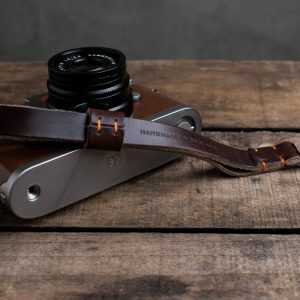 We tried dozens of leathers before settling on Horween Chromexcel for our Oxford leather camera wrist straps. We were looking for a leather that was durable and could take daily abuse, but that was soft on the interior when up against the skin. 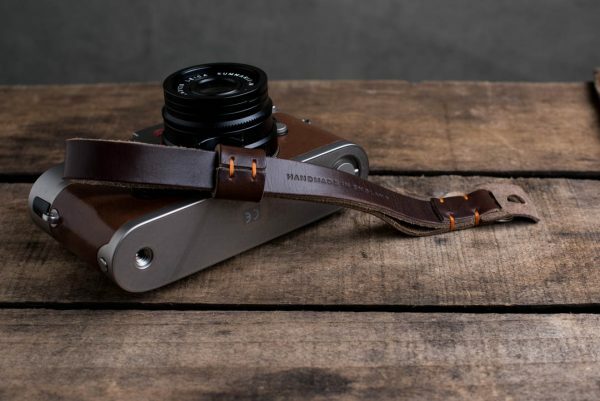 Horween Chromexcel is, in our minds, the only leather worth using on camera wrist straps. 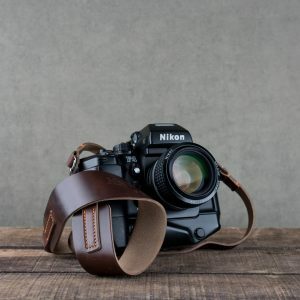 A photographer shouldn’t have to worry about their wrist strap. They should be able to use it and not have to think about it being uncomfortable, or worrying about it breaking. 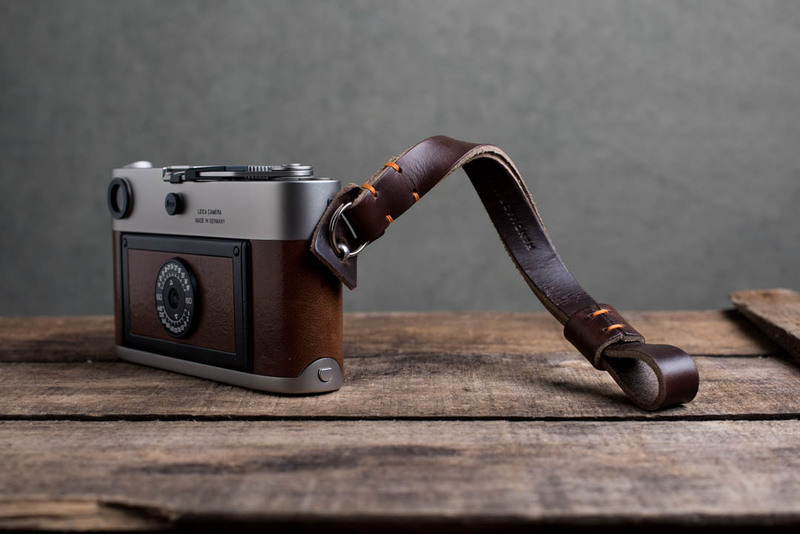 That’s what we’ve created with our Oxford leather camera wrist strap. 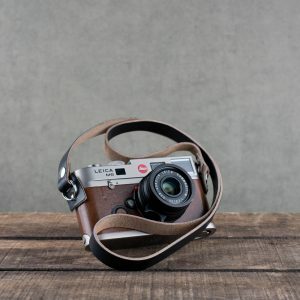 • Two colours available: brown and black. • Recommended max weight is 5lbs. 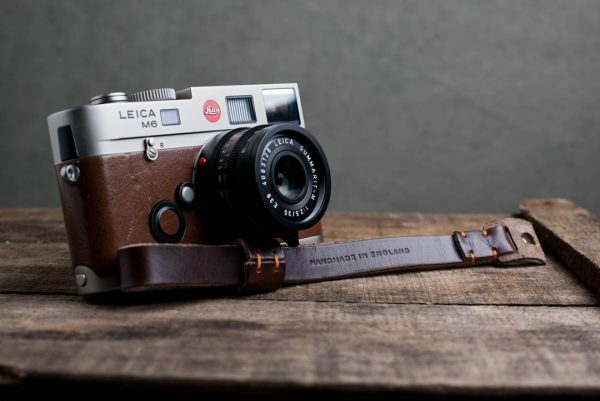 Although straps has been tested to support weight up to 30lbs without breaking or splitting. 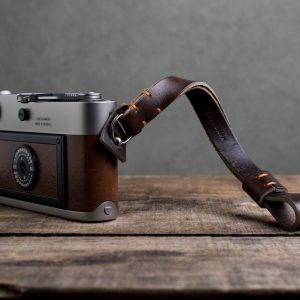 Quite simply the softest, most beautiful camera strap I’ve seen. 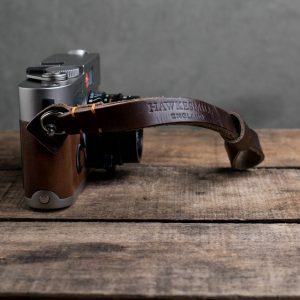 Hawkesmill should be commended for making such lovely camera straps. 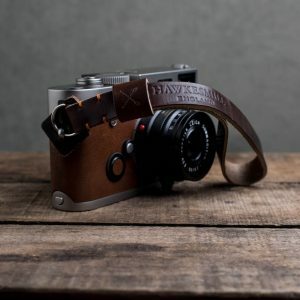 Anyone can put together a strap. A little bit of leather, some stitching, etc. But they have gone above and beyond here. They have produced a really luxurious camera strap. One that you would be happy to see in any luxury store in the world. I love this thing! Even the packaging they use makes you feel special. 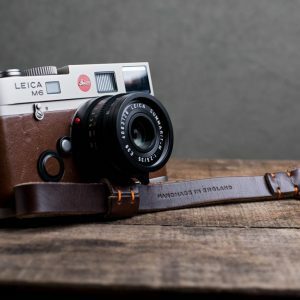 After using this strap for a few months I can confidently say that it is nothing short of perfection. The leather is soft the key ring holds my Leica perfectly. And the overall feel is solid and well made. Thanks a lot. 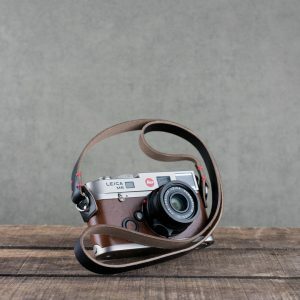 Great camera strap. Incredible quality. And superb customer service! 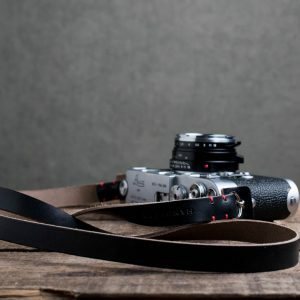 I have never owned a camera wrist strap. 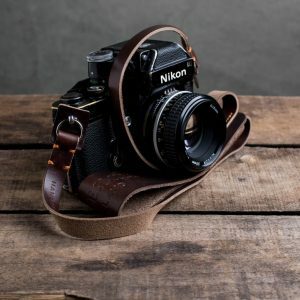 Actually I have never owned a strap other than what came with my camera. 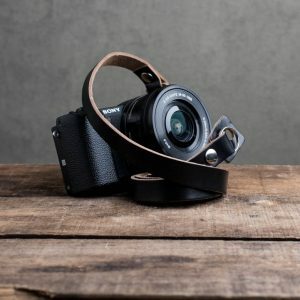 So when I spent this much on a strap I was expecting magic. It didn’t jump out of the packing box and do any tricks but it is a very well made, and very soft wrist strap. I like it more than I thought I would. 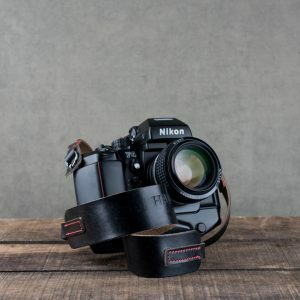 I read a lot of reviews from quite well known photo sites before choosing this strap. Everything I read was very positive. The worst thing I read was about the price. But all of the testers mentioned how it was worth it for what it is. And I agree. 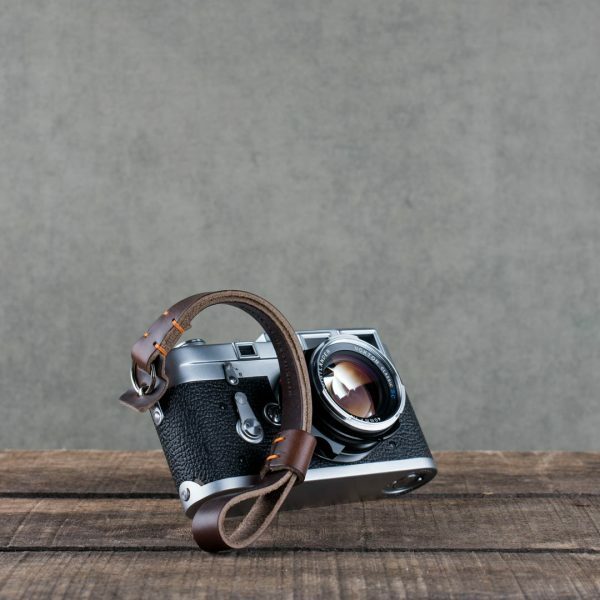 To know you will have a strap for life is quite something. 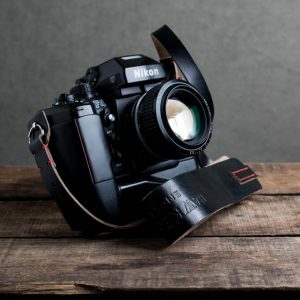 I like well made things and this is something I have added to my collection and use all the time.